The Electricity (Amendment) Bill introduced in the Lok Sabha in 2014 has been pending for well over four years. The ongoing monsoon session is the last chance for the current government to pass the bill before it lapses. The electricity distribution sector, majorly state owned, has been the Achilles’ heel of the entire electricity value chain in the country. Through this bill the government hopes to introduce some much-needed competition. 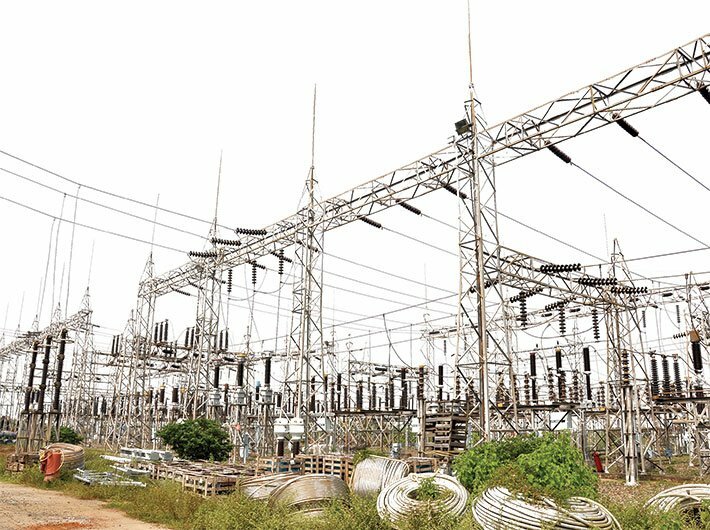 The electricity distribution sector which generates revenue for the entire electricity value chain in the country has been in a state of disarray for many decades. Before 2016, the total debt of all the state discoms put together stood at a whopping Rs 3.96 lakh crore, which was equivalent to 2.3 percent of India’s then GDP. Burgeoning debt, along with high levels of average transmission and commercial (AT&C) losses, which stood at 24.62 percent, wreaked havoc on the finances of state discoms. However, the introduction of Ujjwal Discom Assurance Yojana (UDAY) in 2015 has aided the restructuring of discom debts and has alleviated their financials. Today they are considered far more financially stable than they were three years ago. The bill amends the Electricity Act of 2003. It seeks to segregate the distribution network business and the electricity supply business, and introduce multiple supply licensees in the market. It provides for two types of licensees: a supply licensee who will supply electricity to consumers, and a distribution licensee who will maintain the distribution network and enable the supply of electricity for the supply licensee. State electricity regulatory commissions will grant supply licenses. Consumers will have a choice of buying electricity from any of the supply licensees in the given area. The bill requires the presence of a government company as a supply licensee in an area of supply. This will provide a counter against the competing private firms. While UDAY has been remarkably successful in helping the discoms get out their immediate financial mess, the structural issues that led to the accumulation of debt still remain unresolved. Currently, nearly 95 percent of the electricity distribution business in India is controlled by state discoms. This absolute control of electricity distribution has resulted in state governments indirectly controlling their respective electricity markets. The multitude of price slabs and cross-subsidies introduced by states to achieve political gains has not only distorted the electricity markets but has also negatively affected the industrial sector. When the electricity supplied to agriculture and residences is highly subsidised, the industrial sector is not only expected to bear the burden of the subsidy but also take erratic power supply in its stride. Industry has little choice because it has nowhere else to turn to. The result of this system has had a detrimental impact on industrial production and competitiveness. The only way to deal with this issue is by introducing competition into the distribution sector, which is the objective of the Electricity Amendment Bill 2014. The bill was introduced in Lok Sabha on December 2014 and was sent to the standing committee for its comments. It completed its study and submitted its report in May 2015. Though the standing committee has suggested that certain aspects of the bill be further clarified, the core features still remain intact. Some of the major changes proposed in the bill, if implemented properly, could open up new avenues for private participation in electricity distribution. This would provide consumers ample choice in selecting their electricity suppliers. The bill tries to segregate the electricity distribution network management from electricity supply (differentiating carriage and content). This means that the distribution licensee will be responsible for maintaining distribution lines and enabling supply of electricity to supply licensees. Supply licensees will, in turn, be in charge of supplying electricity to the consumers. Additionally, the bill allows for either the Central Electricity Regulatory Commission (CERC) or State Electricity Regulatory Commission (SERC) to give multiple supply licences in an area of operation, thus providing ample choice to the consumer to choose his supplier and induce much needed competition in the retail electricity markets. In addition, the bill empowers the consumer to switch their electricity supplier by giving suitable notice. When the bill was introduced in 2014, state discoms were in a financial mess which would have adversely affected their chances of competing with new entrants –- and that could be the reason for the delay in passing the bill. This issue has now been successfully dealt with by UDAY, which has reinvigorated the state discoms. Even if the state discoms are in a better position to compete, the government will still have to contend with multitudes of state labour unions which are up in arms against the bill. The National Coordination Committee of Electricity Employees and Engineers (NCCOEEE), a platform of all unions and federations in the power sector with more than 2.5 million members, is vociferously opposing this bill from the very beginning. The labour unions have been arguing that new entrants into the sector will increase the price of electricity, which would affect the poor. This is pure conjecture. The bill has mandated the presence of a government supply licensee in every operational zone. This means government suppliers may well become price setters in every zone of operation. Private participants will potentially differentiate their services from government service providers by ensuring better quality of supply and not just better prices. Hence, only those customers who value the quality of service more than price are likely to shift to private providers. Hence, the argument that the entry of private players will drive up prices holds no merit. This is not the first time that similar arguments have been used to thwart the entry of private participants. The improved financial condition and operational efficiency of the state discoms have created the right environment for passage of the bill. Some major reforms with regard to tariffs and subsidy might be required before successfully separating the carriage and content aspects of the power sector. This does not take away from the fact that state discoms have become financially healthy and should now be comfortable with handling competition in the electricity distribution sector. Additionally, providing options to consumers to choose their electricity suppliers and the choice to switch out from unworthy suppliers will bring in more market discipline and will hopefully improve the electricity delivery mechanism in the country. Soundararajan is senior fellow, Pahle India Foundation, and Kumar is associate fellow, Pahle India Foundation.